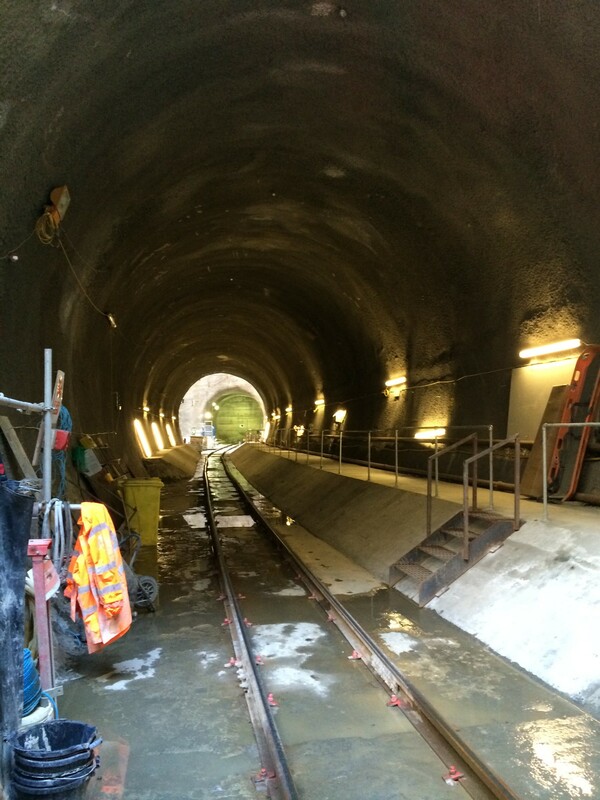 As Pedantic of Purley pointed out recently, it has been some time since we properly paid Crossrail some attention. 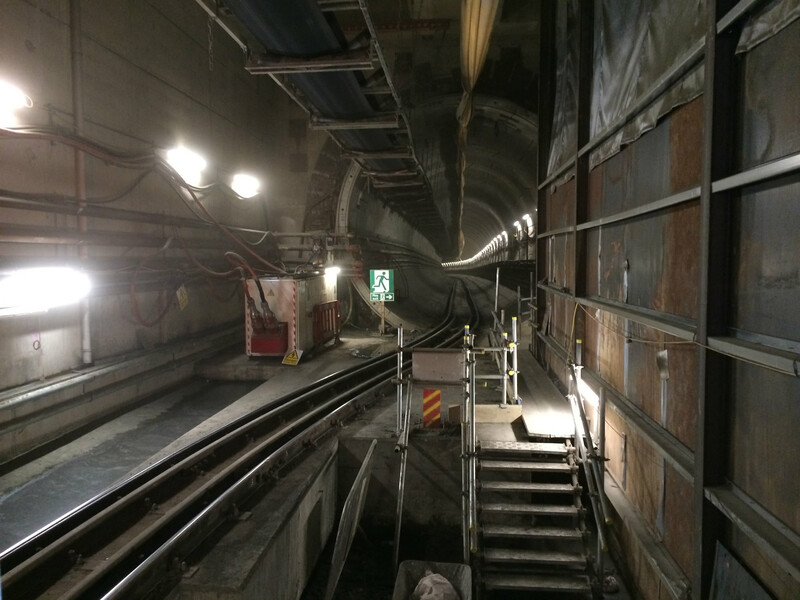 As much as it is important to delve into the world of timetables and capacity though, we should not forget that, as we speak, construction continues beneath the streets of London. 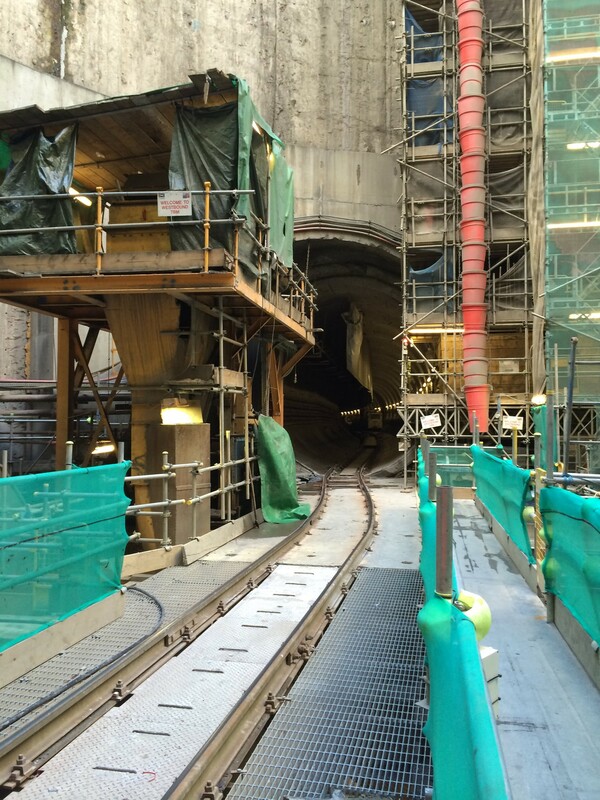 Indeed Crossrail’s final Tunnel Boring Machine (TBM) actually launched at Pudding Mill today. 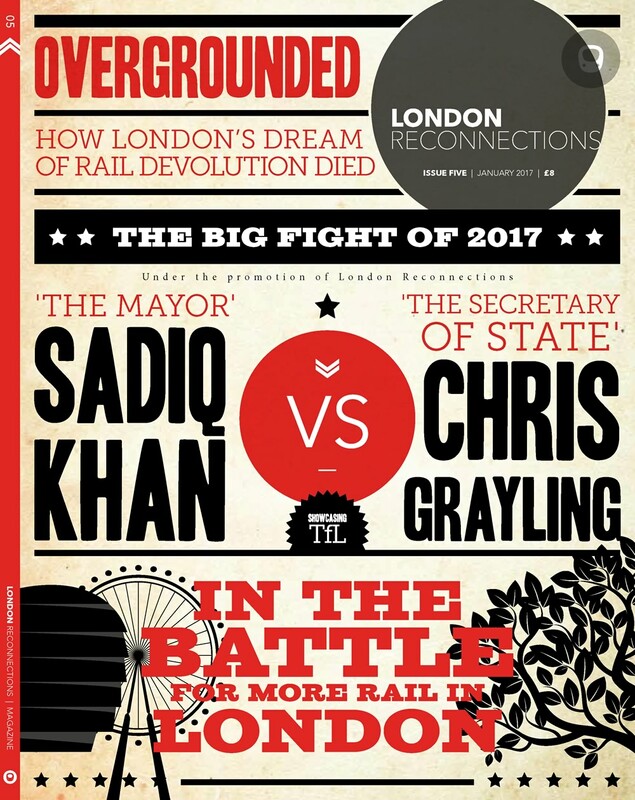 With seven other launches now under their belt, however, even Crossrail themselves would likely admit that there is little of interest still to see there. 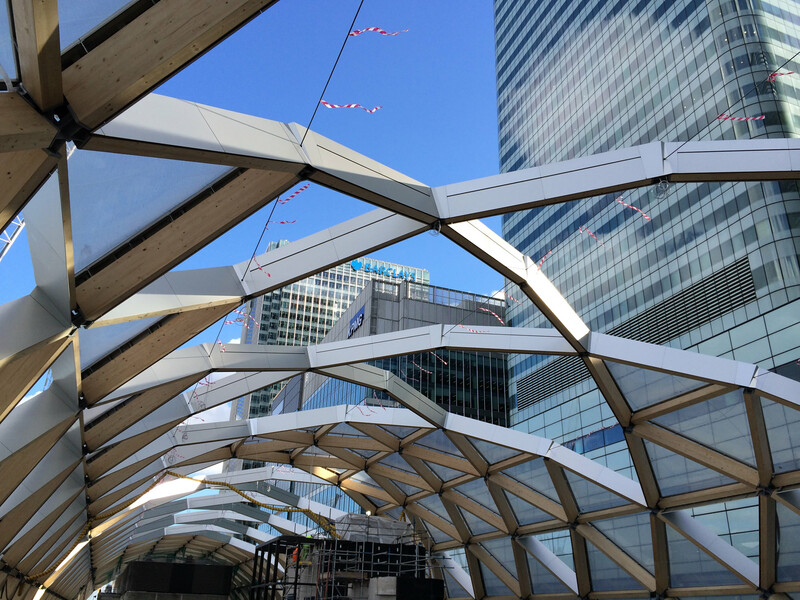 Instead we therefore turn our attention to one of the sections of tunnel and station that is more advanced – the Eastern Tunnels and Canary Wharf station. 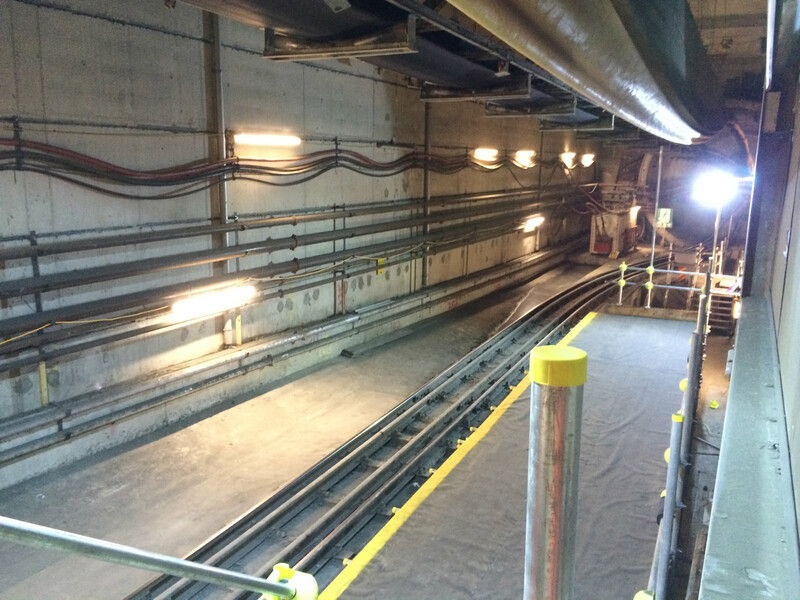 Stretching from Limmo Peninsular (adjacent to Canning Town DLR) to Farringdon, the Eastern Tunnels represent the largest stretch of boring to be carried out by TBMs on the Crossrail project. 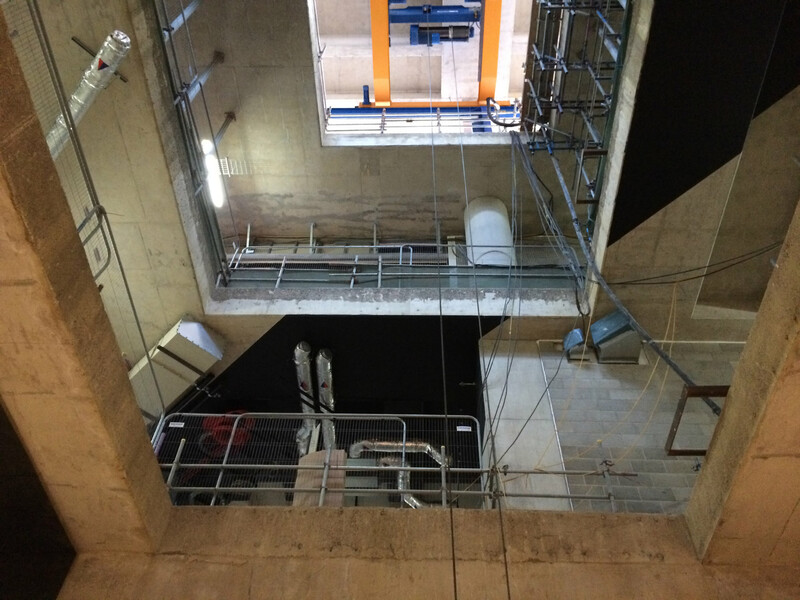 Two of Crossrails Herrenknecht TBMs, Victoria and Elizabeth, were lowered into the Limmo shaft in October 2012, with Elizabeth launching first and Victoria shortly after. 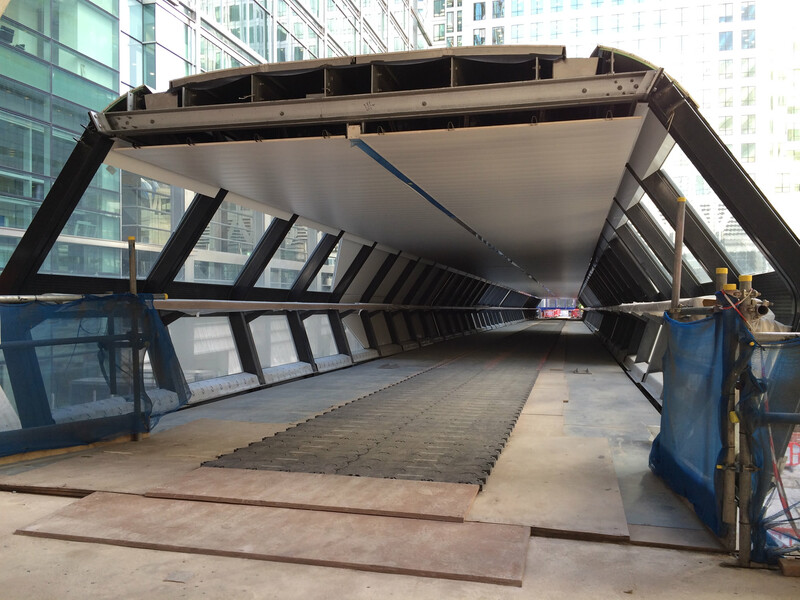 Last spring Elizabeth reached Canary Wharf, breaking through into the awaiting Canary Wharf station box in May 2013. 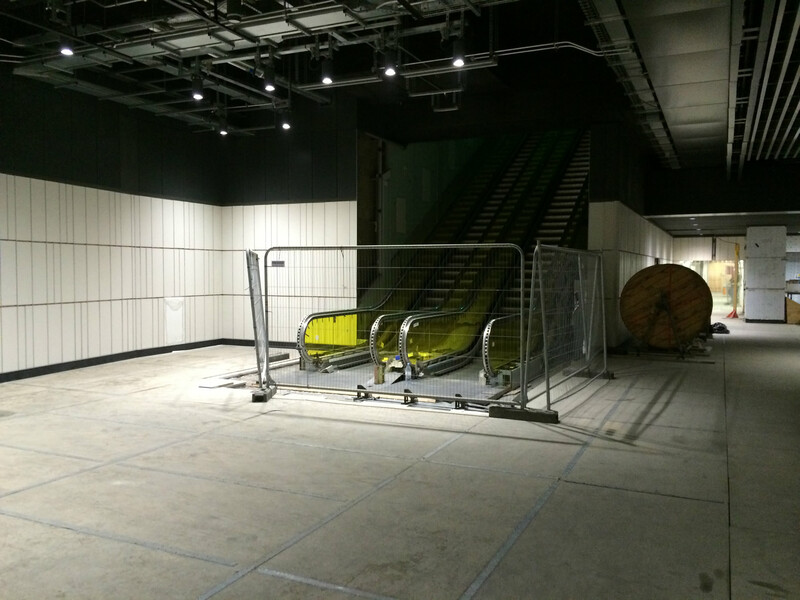 Since then her journey has continued, reaching Whitechapel at the end of last month. 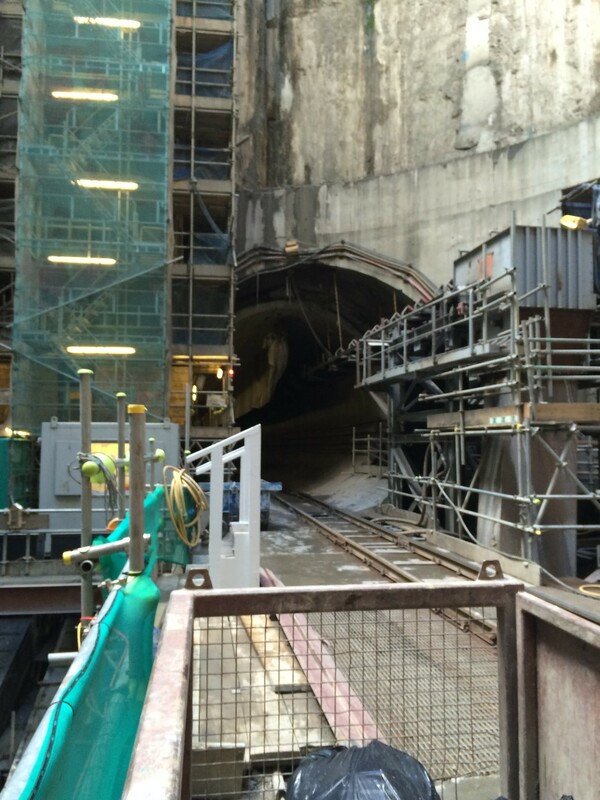 Meanwhile her sister TBM, Victoria, has now also long left Canary Wharf behind, reaching the Stepney Green Caverns at the beginning of the month. 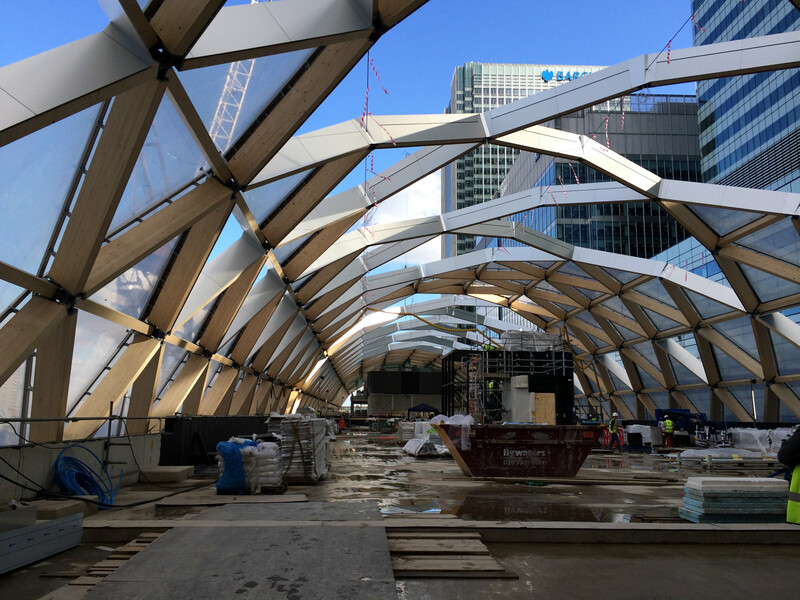 Canary Wharf station itself remains one of the more advanced stations in terms of completion. 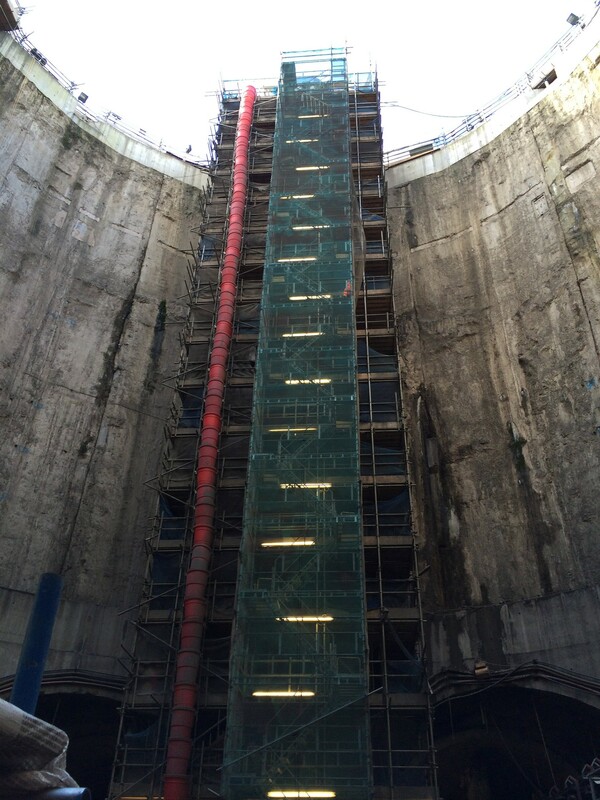 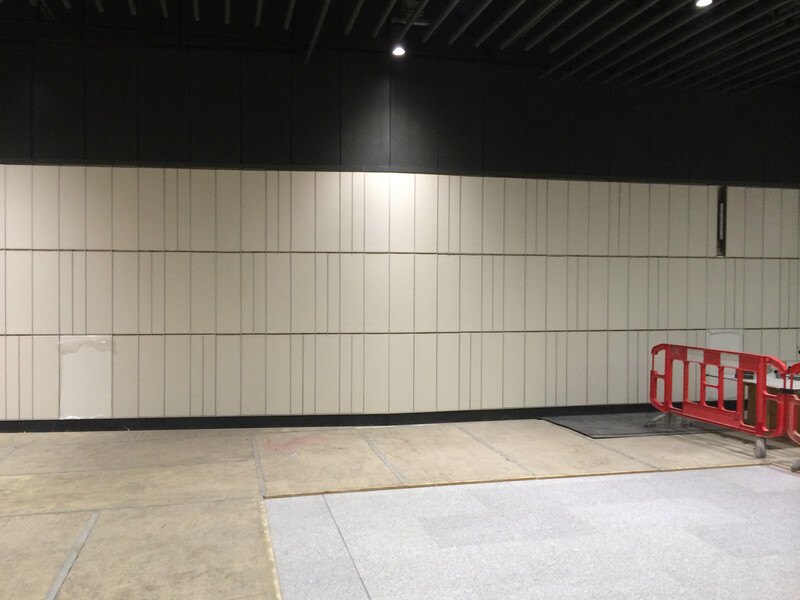 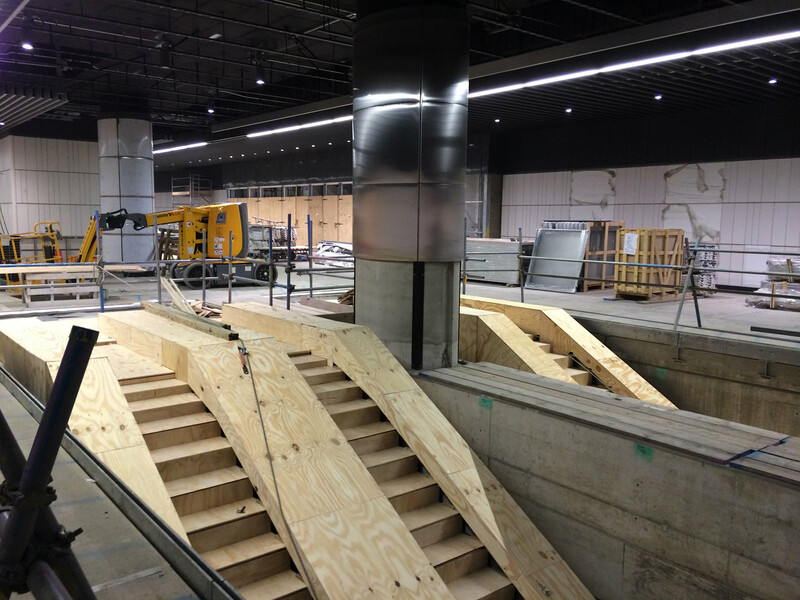 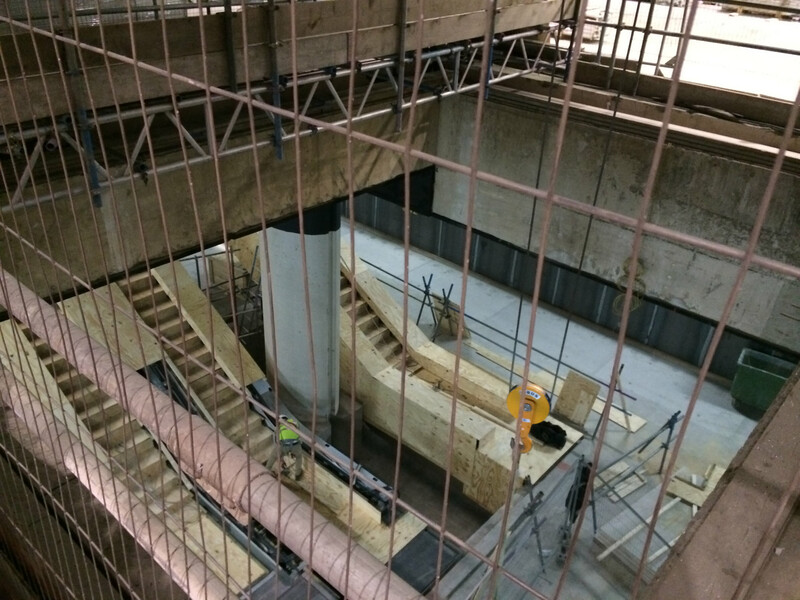 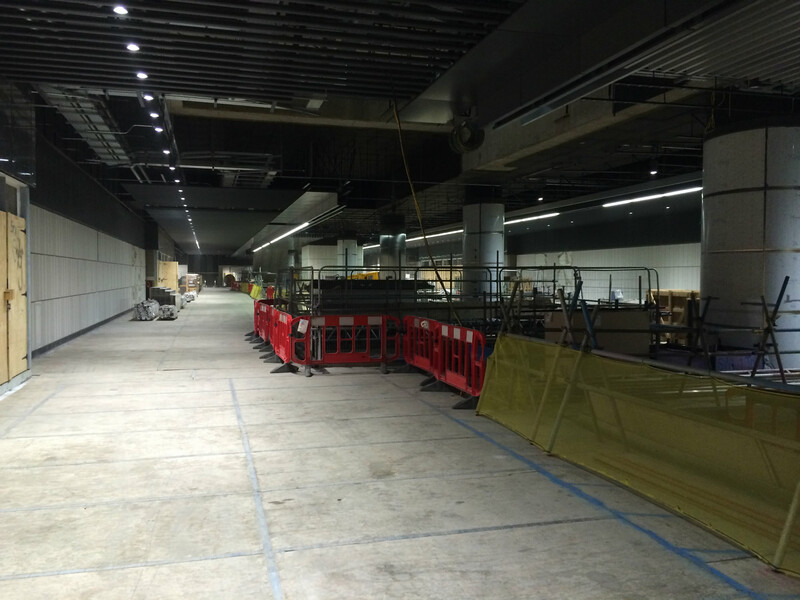 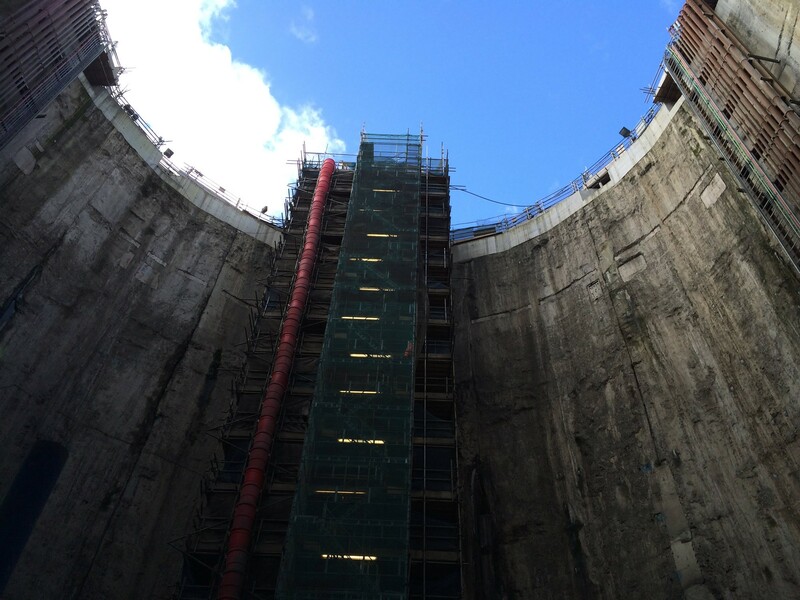 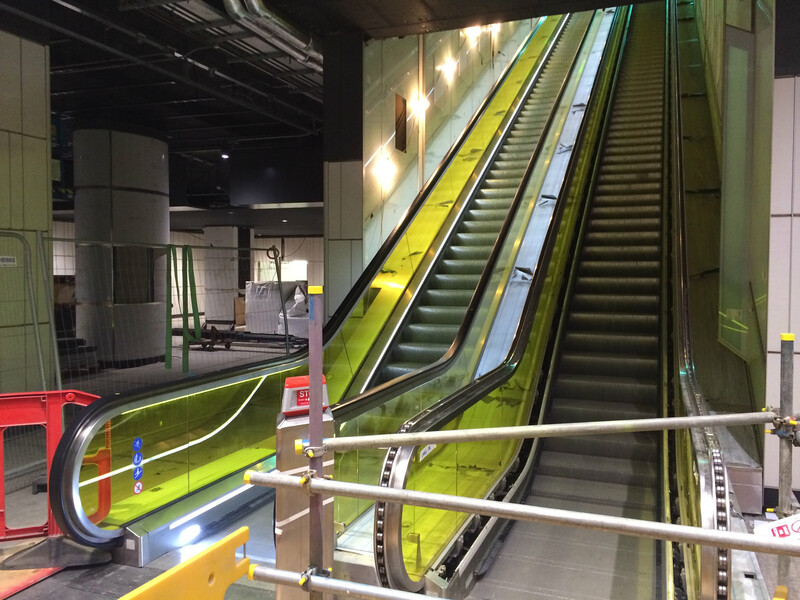 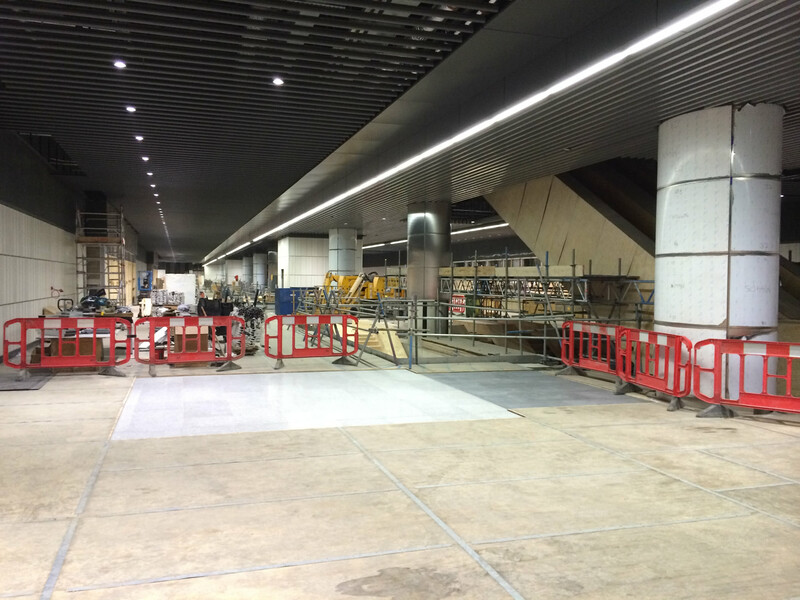 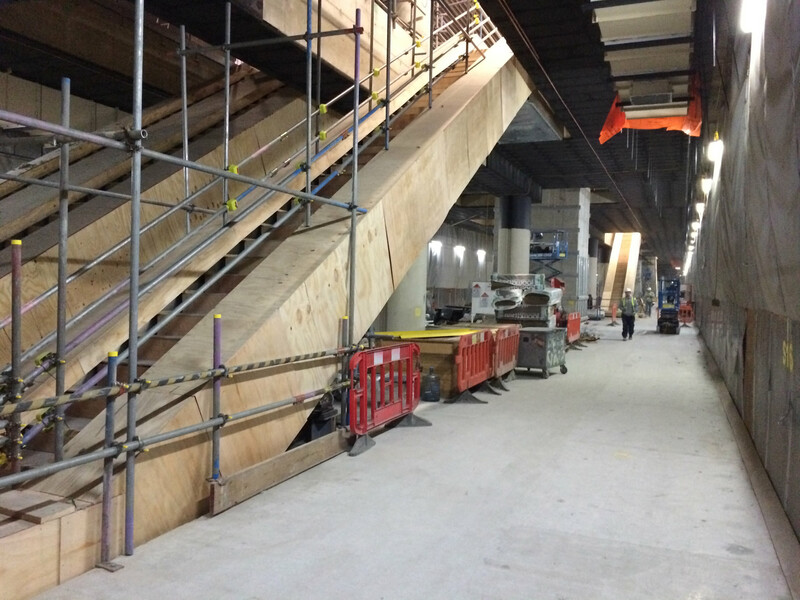 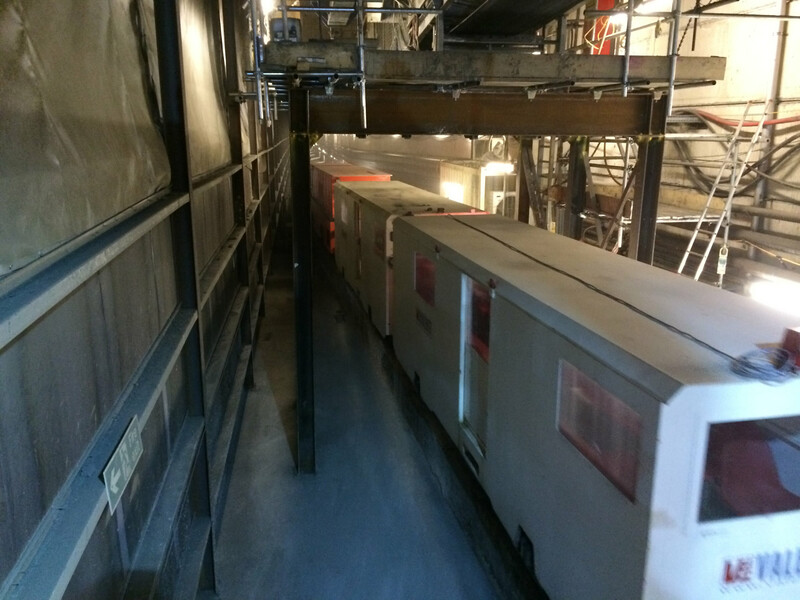 We last looked at the station back in September and since then, as can be seen from the photos below, work on the internal and subterranean levels has effectively reached fit out stage, with walls and escalators now in place. 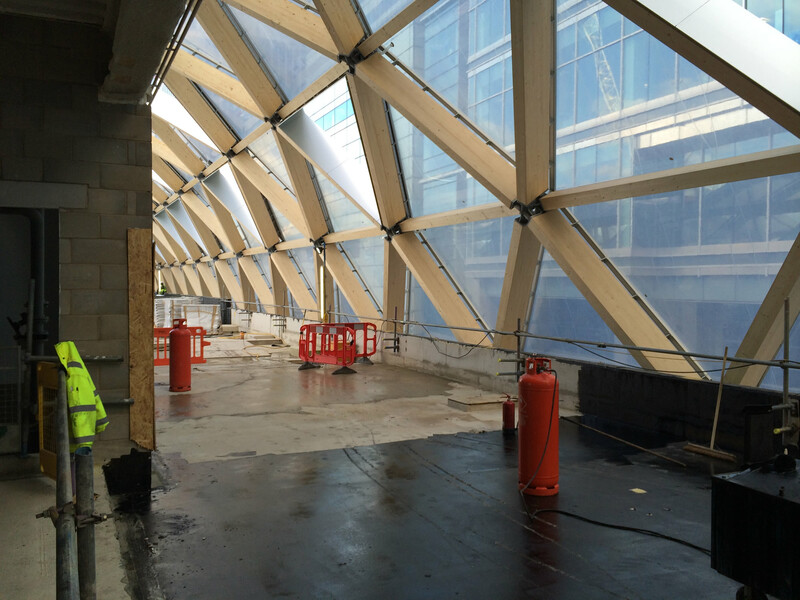 Meanwhile up on top, the roof is now largely in place (complete with tree-friendly open panels to support growth in the roof garden). 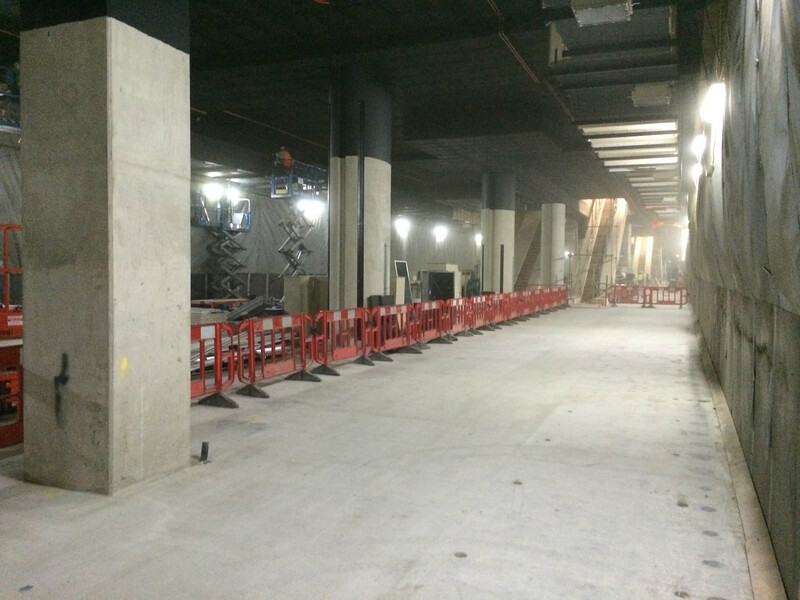 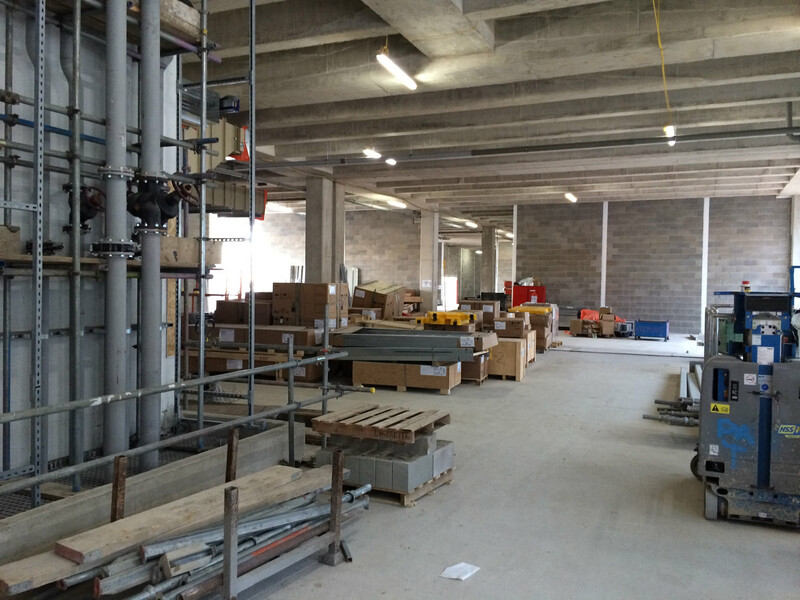 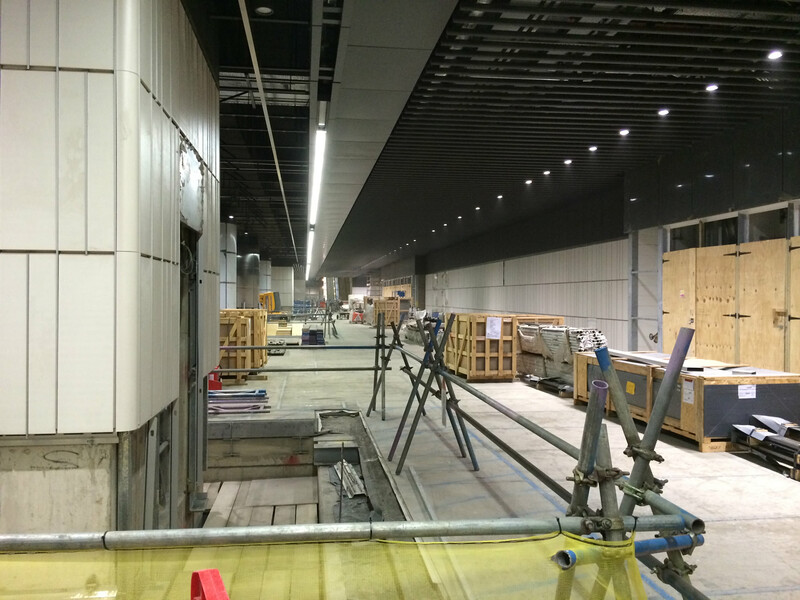 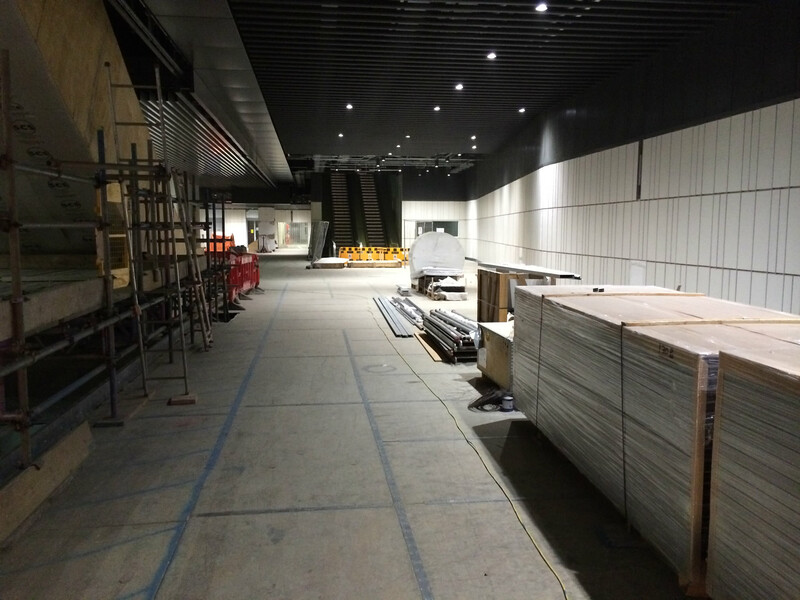 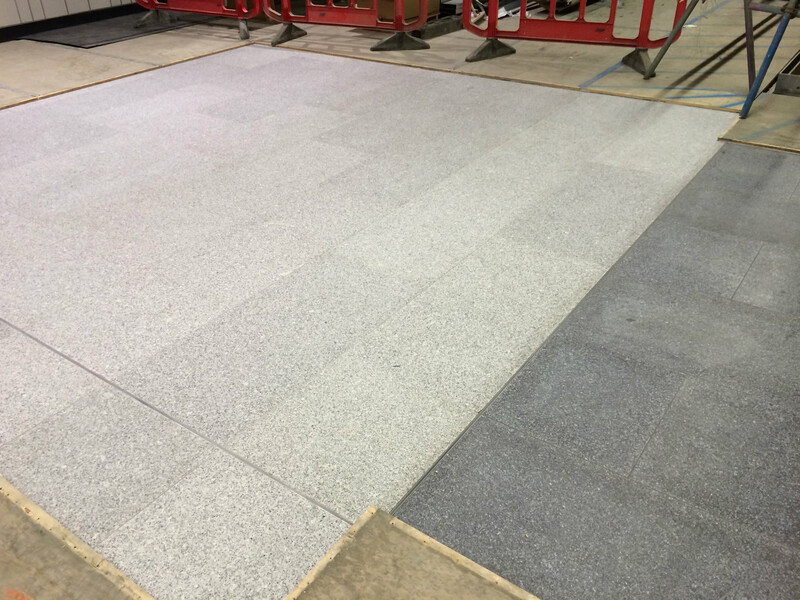 Looking back down the ticket hall, with the final floor finish exposed. 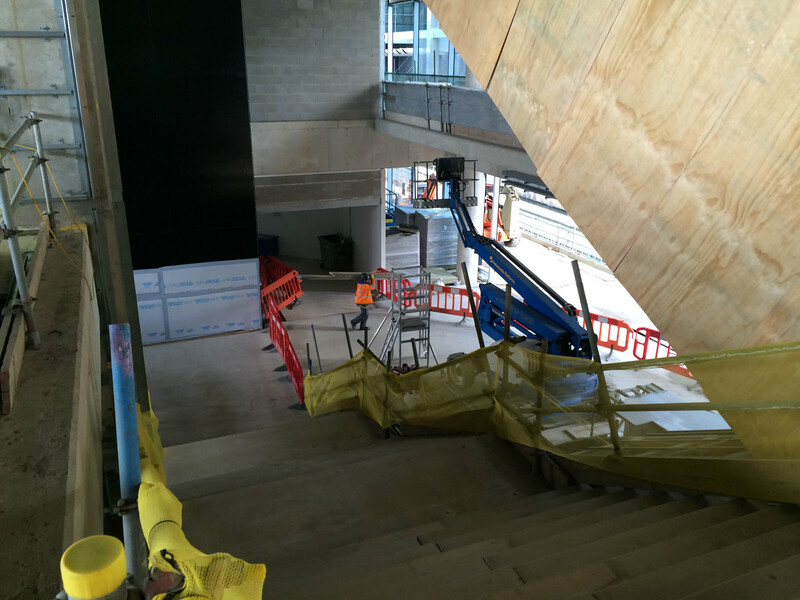 Stairs up to the second level of retail space.